When the Japanese surrendered abroad the Battleship Missouri on Sept. 2, 1945 America’s airborne military might was on display. 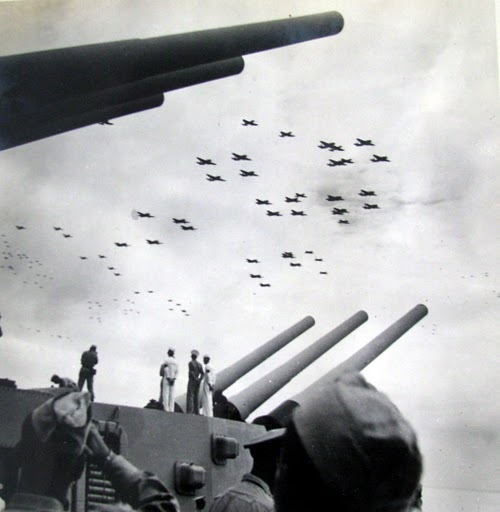 An armada of U.S. fighters and bombers flew low and slow over the “Mighty Mo” to hammer home to the Japanese they had been vanquished. “We had 1,200 Army, Navy and Marine Corps planes fly over. Our air group, Air Group #1, aboard the carrier USS Bennington (CV-20) was awarded the honor of leading the group,” Leonard Hieber of Burnt Store Isles, south of Punta Gorda, Fla., said. 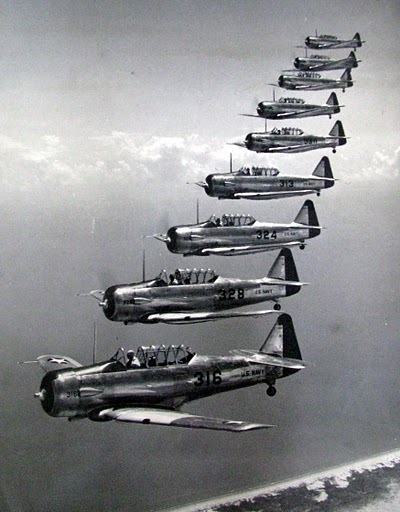 “I flew a Curtis Helldiver as part of the lead group right down Tokyo Bay that day. 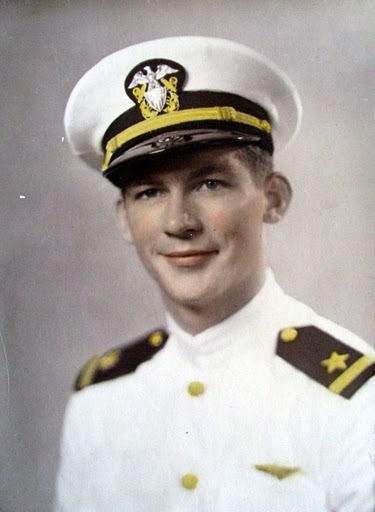 Hieber joined the Naval Aviation Cadet Program at age 19 in 1942 at the end of his sophomore year at the University of Kansas. He was studying to be an electrical engineer. Some months later he ended up in Corpus Christi, Texas learning how to be a Naval aviator. The “Gold Fish Club” was for pilots who ditched their planes in the water. Things got considerably more serious when he and his fellow aviators in Air Group #1 reported aboard the Bennington in the Philippines in July 1945. The war was winding down by this time, but Task Force 38, Admiral “Bull” Halsey’s group, was pounding the Japanese on their home islands with his fleet that Hieber was a part of. “I flew eight combat missions over Japan at the very end of the war. On four of those missions we attacked the Musahi, the sister ship of the battleship Yamata (the two largest battleships ever built). We also holed a Japanese Unryu Class carrier. Both were in the Inland Sea,” he said. 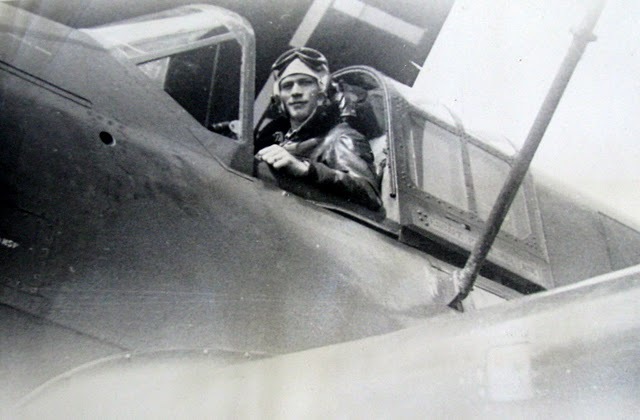 “On some of these missions I flew as ‘Tail End Charlie.’ I took pictures of my squadron with a K-25 aerial camera mounted on the wing of my Helldiver attacking the enemy ships. in the air and they were trailing smoke as they were being shot down over the task force,” he said. Hieber received a presidential commendation for the part he and his dive-bomber played in the attack on the Japanese battle ship during the closing days of the war. 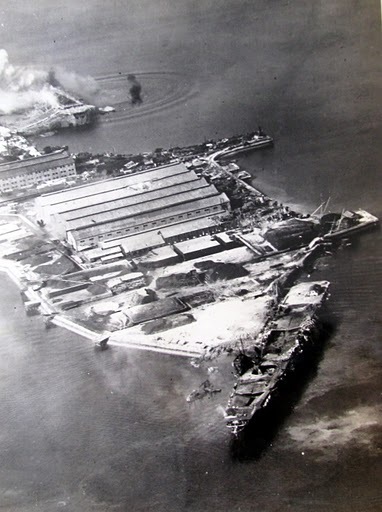 After the surrender ceremony the Bennington sailed back to Saipan where the air group got off and spent a month or so waiting for a troop ship to take then back to the States. In December 1945 Hieber together with hundreds of other servicemen aboard ship sailed into San Francisco Bay and got their first look at the Golden Gate in a while. He was discharged at Great Lakes Naval Air Station and immediately went back to the University of Kansas and completed his degree in electrical engineering. In 1948 he went to work for Caterpillar Tractor Company where he worked until he retired 34 years later. Hieber and his wife, Carolee of 64-years, have lived in this area since he retired in 1982. They have one son, Michael. Commendations: Two Air Medals, Presidential Commendation for bombing the Musashi, sister ship of the Yamata. This story was first published in the Charlotte Sun newspaper, Port Charlotte, Florida on Friday, Nov. 19, 2010 and is republished with permission. Click here to view Heiber’s collection in the Library of Congress. Len Hieber was my uncle, married to one of my mom’s sisters. He was a neat guy! !